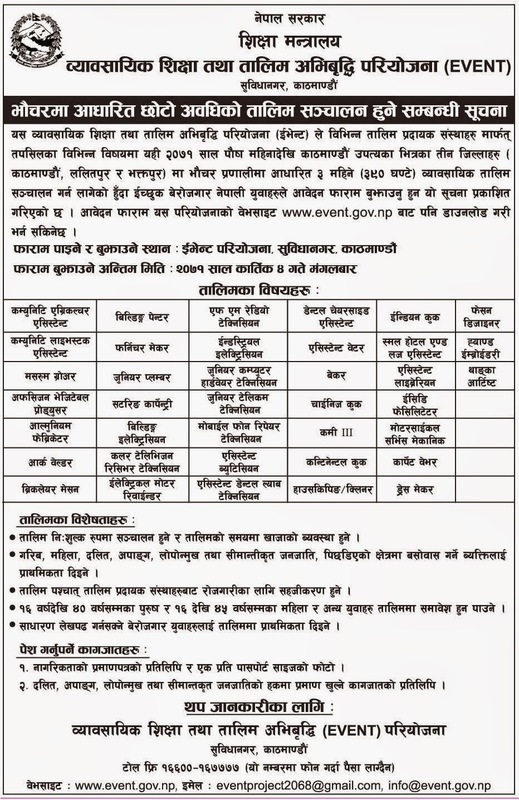 EVENT is organizing voucher based short term training in different sectors on Kathmandu, Bhaktapur, and Lalitpur. The training period will be of 3 months (390 hours) which starts from Poush 2071. Interested candidate has to fill the form and submit the form before 4th Kartik, 2071. For more info see the notice below.